First days of the spring brought a really nice, sunny weather and quite warm days. Water temperature on the lake raised for a few degrees in last 2 weeks and now is slightly above 10 degrees Celsius. 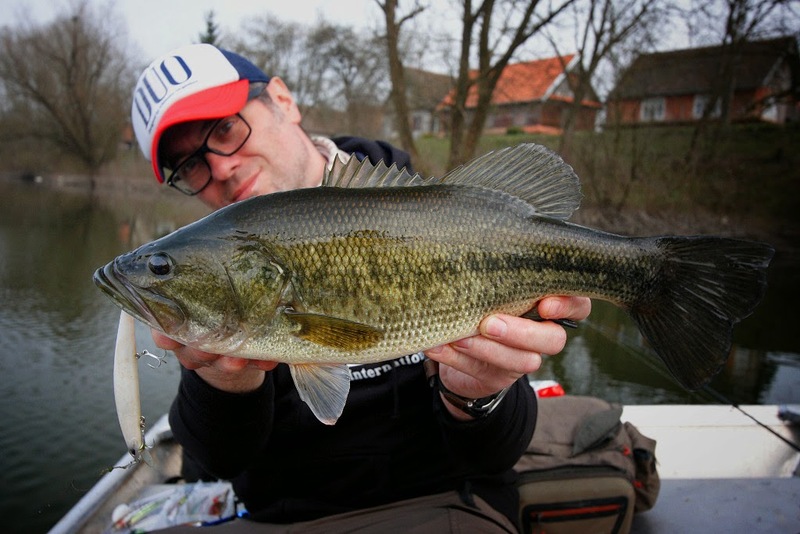 Not much, but enough for gently wake-up call for bass population in Croatian lakes. Bass fishing in early spring time is not easy and every fish is a real reward for the effort. How fish are still very lethargic and lazy about taking food we need to offer them a slowly retrieved lures with rolling and wobbling actions and to my opinion it is important to keep the discipline of slow retrieving. 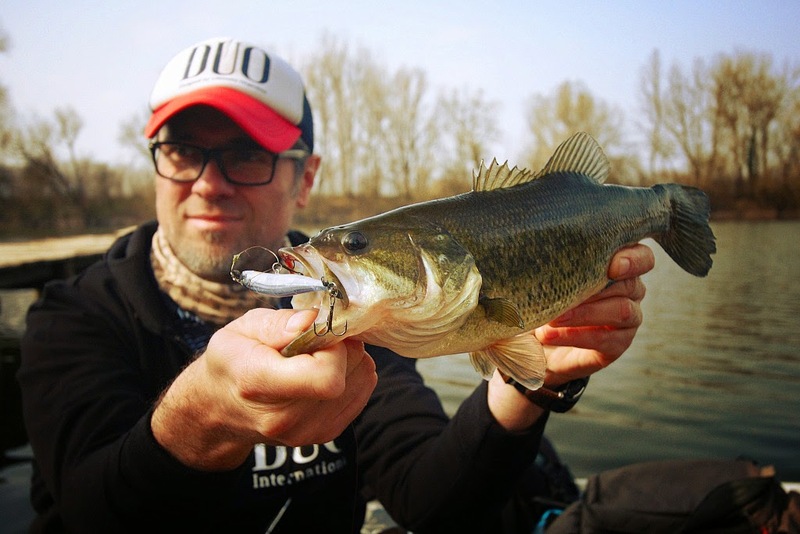 Although that day I tried a whole range of Duo International Lures hard baits for bass including Vibration models, Cranks and Jerkbaits, my first bass of this year was caught with Spinbait 80 G-Fix lure. 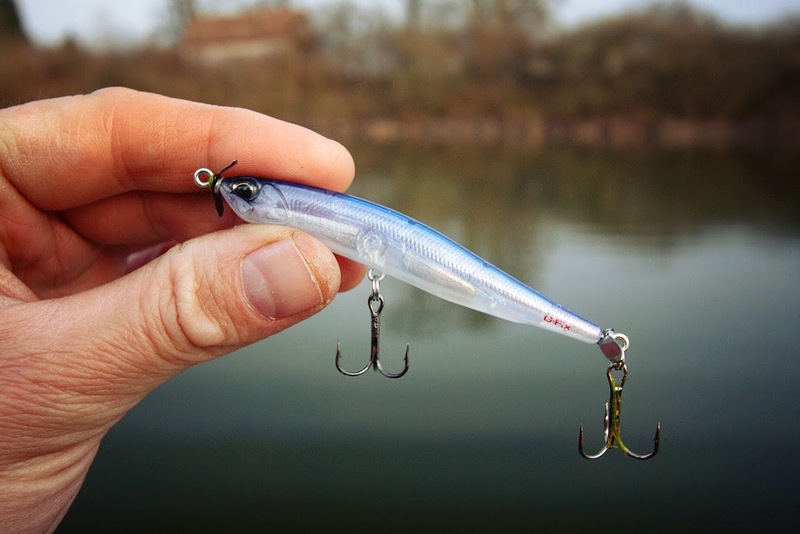 This lure with 2 propeller attached in the front and at the back of the lure should be retrieved really slowly and near to the bottom of the lake. This lure will not invite bass from the far distance like wobbling cranks or jerk-baits, but if you lead it slowly with its rolling action in front of the fish, it may inhale it. This year I will certainly dedicate more time to Spinbait lures and Spybaiting technique in search of some big bass in the deepest parts of the lakes. Of course during summer this lure is successful and effective near or at the surface. Second and bigger bass that day took one of my favorite lures – Moab 120F. Of course in Neo Pearl color. This bass followed lures from the shelter and very close to the boat I saw whirlpool behind the lure. I made a short pause and baaaam! – fish on. Nice bass and great beginning of the new season.